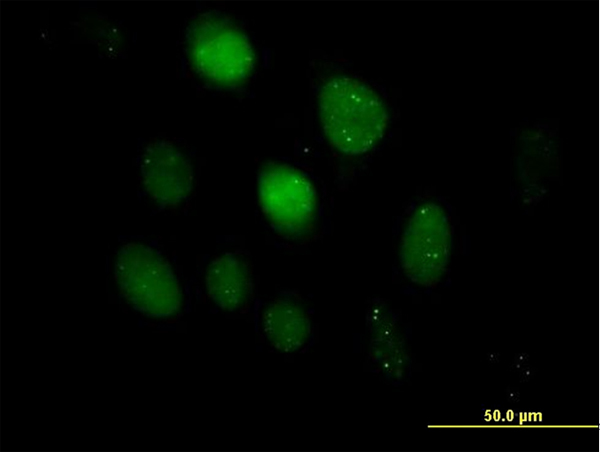 ELL was shown to encode a previously uncharacterized elongation factor that can increase the catalytic rate of RNA polymerase II transcription by suppressing transient pausing by polymerase at multiple sites along the DNA. 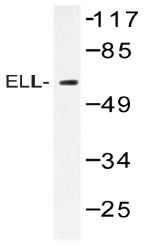 Functionally, ELL resembles Elongin (SIII), a transcription elongation factor regulated by the product of the von Hippel-Lindau (VHL) tumor suppressor gene. 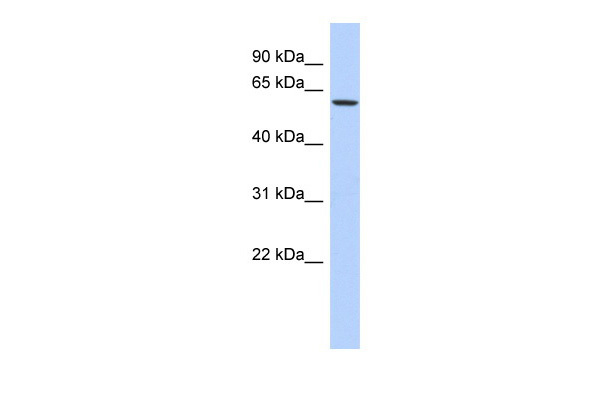 Western Blot analysis of ELL expression in transfected 293T cell line (H00008178-T01) by ELL MaxPab polyclonal antibody.Lane 1: ELL transfected lysate(68.31 KDa).Lane 2: Non-transfected lysate. 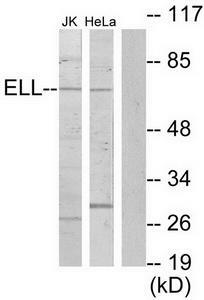 Western blot (WB) analysis of ELL antibody (Cat.-No. 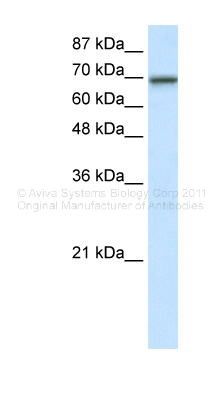 : AP20390PU-N) in extracts from Jurkat cells. Western blot analysis of extracts from Jurkat/HeLa cells, using ELL Antibody. The lane on the right is treated with the synthesized peptide. 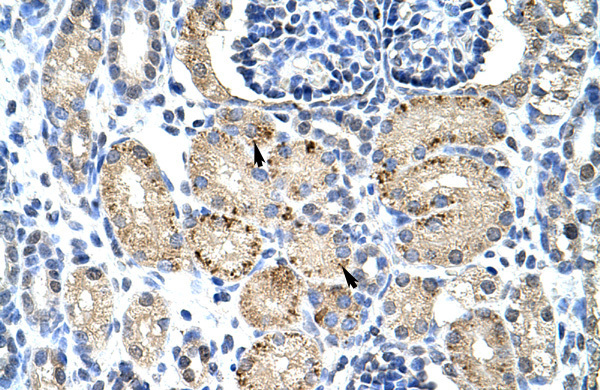 Western blot analysis in A549 cell line lysates (35ug/lane) using ELL antibody Cat.-No. AP51414PU-N (C-term). 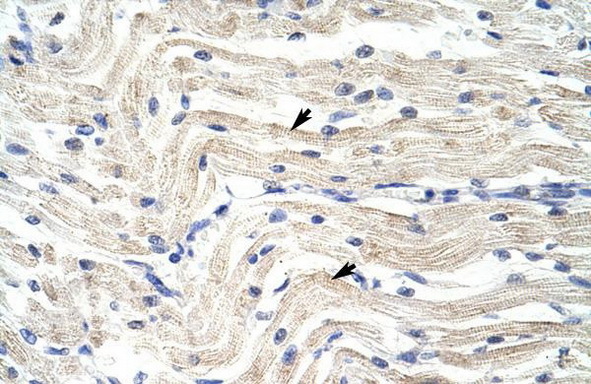 Western blot analysis in mouse lung tissue lysates (35ug/lane) using ELL antibody Cat.-No. AP51414PU-N (C-term). Western blot analysis of ELL (arrow) in mouse testis tissue lysates (35ug/lane) using ELL antibody Cat.-No. AP51415PU-N (C-term). Western blot analysis of extracts from Jurkat cells and HeLa cells, using ELL antibody.The lane on the right is treated with the synthesized peptide.